There’s one big new feature in today’s global rollout of Facebook Timeline. 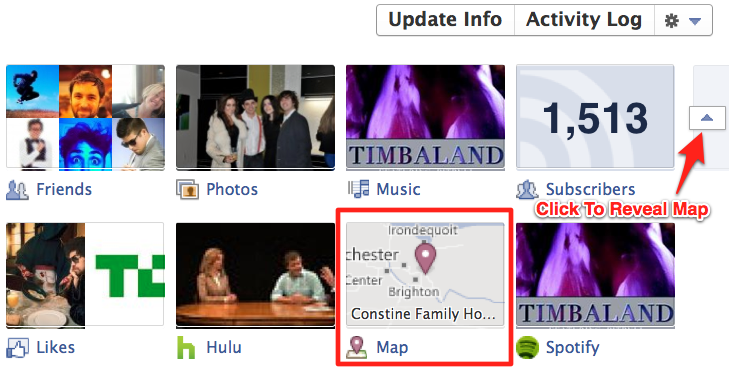 Facebook has enhanced the Timeline Map with a wizard that lets you rapidly tag your existing photos with locations. You can also now type in a location and share rich stories about whether you’ve been, took a trip, or lived there. 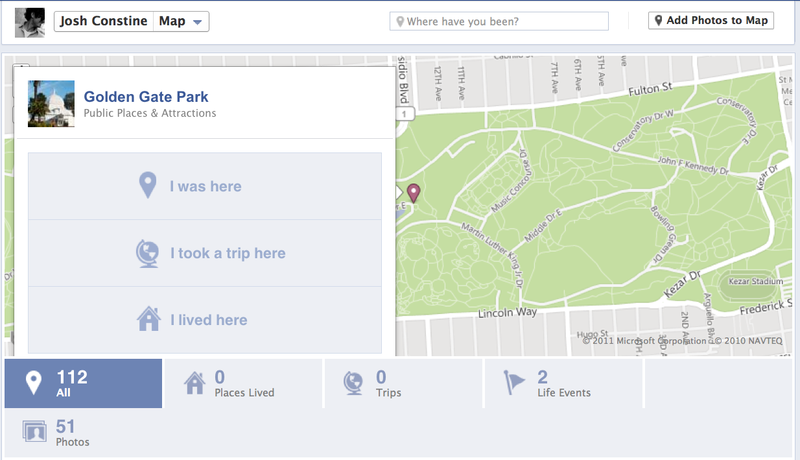 The Map feature could seriously advance Facebook’s “location as a layer” plan. By convincing users to append valuable geographic data to its massive collection of photos with this easy flow, Facebook could improve local ad targeting. To access Map, visit your Timeline, which you can enable here. Below the Update Info and Activity Log buttons and next to to your Friends, Photos, and other Timeline View tiles is a drop-down arrow with a number. Expand this menu and click “Map”. To navigate to Map directly, you can add ” /map ” to the end of your profile’s URL in this format “http://www.facebook.com/[Your User Name or Profile ID]/map”. To alert people to the feature, Facebook is currently showing news feed stories about friends who’ve updated their maps, and Map can be viewed from mobile thanks to Bing. When Timeline became available for developers, Map only showed the Places you’d been tagged at, and didn’t let you directly add new data. Now, you can click “Where have you been?” to share travel memories, or “Add Photos” to bring up a “Where was this?” entry field over a thumbnail strip of photos you’re tagged in. The wizard slides you forward and asks you tag the next photo once you’d added location to the last one. You could probably add location to all your tagged photos quickly as each only takes a few seconds. Many third-party apps such as TripAdvisor and Where Have I Been? have had success helping people share their past locations and generate maps to show off to friends. Those could become less necessary now. Timeline Map could even challenge Foursquare‘s single player function of letting users keep track of their travels. Facebook’s most ingenious designs create something easy to use, fun to browse, and coax valuable data from its users. Timeline Map does all three, and honestly, it’s kinda fun to use. Now you have to decide whether to keep your location to yourself, or aid Facebook in serving you more relevant ads while filling out your map with memories.